« Titans Should Take a Look at Taylor? It appears that the Titans are going to have to start putting together a much bigger deal if they think they are going to get DT Albert Haynesworth back in the 2009 season. 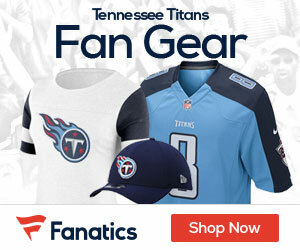 ESPN and NFL Network report that the Titans big man has decided to test the free agent market, and that he will start talking to other teams once the signing period opens on the 27th of this month. Reports say that the Titans and Haynesworth’s reps have spoken about a new deal, but that the sides are far enough apart to make it clear to Haynesworth it’s time to start thinking about playing elsewhere. Word is the talks were about in the $36 million dollar range for four years. The 6-foot-6, 320-pound Haynesworth has 91 tackles and 14.5 sacks in the past two years. In seven seasons as a pro, he has 271 career tackles — 199 of them solo — and 24 sacks. Atlanta – This has been thrown out there a number of times, and Haynesworth would be a welcome addition to a team that needs a big play-maker on defense. Detroit – While it would be a big step back to play for a team that was 0-16 last season, Haynesworth could follow former defensive coordinator Jim Schwartz to the Motor City. Denver – They have cleared up a ton of cap space the past few days, and Haynesworth would be the biggest piece of the rebuild of a defense that was awful in 2008. NY Jets – Another team that wants to build with defense, and again, Haynesworth would be a great piece to their puzzle. Tampa Bay – The Bucs have a ton of money to spend, and with Raheem Morris coming in, Haynesworth could be a great start for a new look team in Florida.